Dogs have owners; cats have staff. Dogs are man’s best friend; cats are man’s best frenemy. Dogs come when called; cats take a message and get back to you. As long as we’ve had dogs and cats, we’ve had dogs versus cats. Dogs are obedient, loyal, and love unconditionally. Cats are obstinate, fickle, and love when they feel like it. But are these personality differences rooted in reality—or are they just in our heads? Science is coming closer to providing an answer.Last month, researchers published the most detailed analysis yet of the cat genome, comparing it to that of the housecat’s immediate ancestor, the Near Eastern wildcat. Among the highlights: several genes linked to fear, memory, and learning that seem to have changed as the cat morphed from feral to friendly. This makes sense, as cats, like other domesticated animals, have had to overcome their fear of humans and adapt to living in our society. We know less about how the dog’s genome changed from that of its ancestor, the gray wolf, but scientists believe it has undergone more—and more intense—genetic changes than that of the cat’s. That’s not a surprise when you consider that cats have only lived with us for about 10,000 years, while dogs have been with us for up to 30,000. But it’s not just the length of our cohabitation that separates cats and dogs; it’s the evolutionary pressure we’ve put on them. 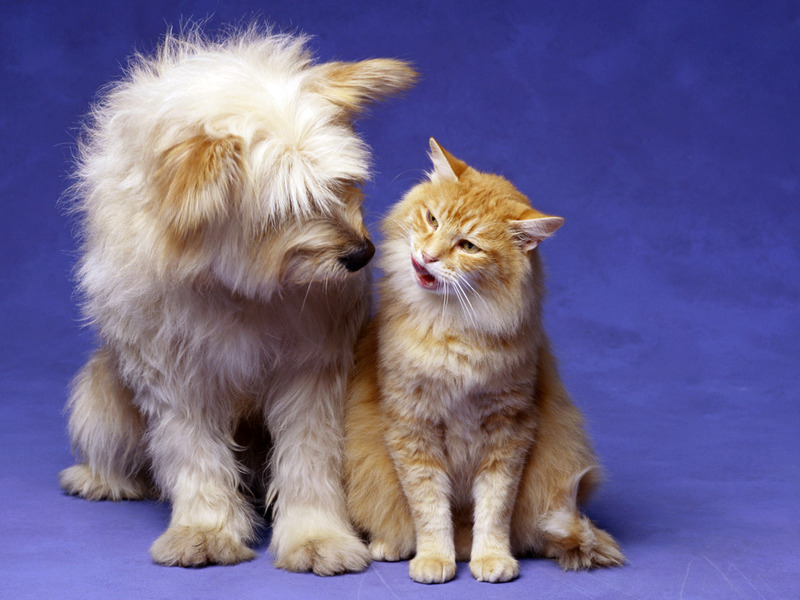 Dogs and cats are thought to have entered human society in similar ways. Wolves followed us around as we hunted and gathered, feasting on our trash piles, and—over the course of thousands of years—inching closer and closer to our campsites until one day they were eating out of our hands. Wildcats slunk out of the desert, hunting rodents that had invaded our early farming villages, and stuck around once they realized they could get table scraps and the occasional pet from a friendly human. Both animals, it seems, domesticated themselves. But that’s where the similarities end. Once dogs entered our lives, we immediately saw their utility, breeding them to be better hunters, herders, and guardians; we imposed on them a second, intensive phase of domestication that transformed them into coworkers, companions, and friends. Cats… well, cats we pretty much left alone. That’s why some scientists consider cats only “semi-domesticated”. These disparities show up in the differences between dogs and cats today. Dogs and humans are separated by more than 100 million years of evolution, yet we are closer to them than any animal on the planet. We communicate with them, play with them in complex ways, and even seem to share similar thought processes. Point at an object, and a dog will look at what you’re pointing at. That’s something our closest relatives, chimpanzees, can’t do, and it suggests that dogs, like humans, possess a “theory of mind”—an ability to sense what others are thinking (in this case, that the human is trying to show them something.) Dogs have also been shown to feel empathy and jealousy, and to possess human-like conceptions of justice and morality. If humans were a radio station, dogs would listen to us all day long. Cats would spend half their time surfing other channels on the dial. Yet it’s easy to overstate the gulf between cats and dogs. Cats, it turns out, also pass the pointing test. They may also share many of the same complex emotions and thought patterns that dogs do; it’s just that almost no one has been crazy enough to bring them into a laboratory to find out. And as for cats being only semi-domesticated, they’ve evolved from fierce, solitary creatures into “love sponges”, as Ernest Hemingway described them—tame and cuddly enough to have become the world’s most popular pet. Dogs and cats may have their differences, but they’re they only two animals on earth that have been embraced as true members of the human family. I couldn’t agree more. Although I think we, humans, are making efforts to train cats at some lower level then dogs. I’m not saying it’s right or wrong to do it so, I just think that, the non/less domestication and independence of cats as bother us, humans, for many years that we feel the need to overcome that so they, the cats, can be more friendly and loyal.